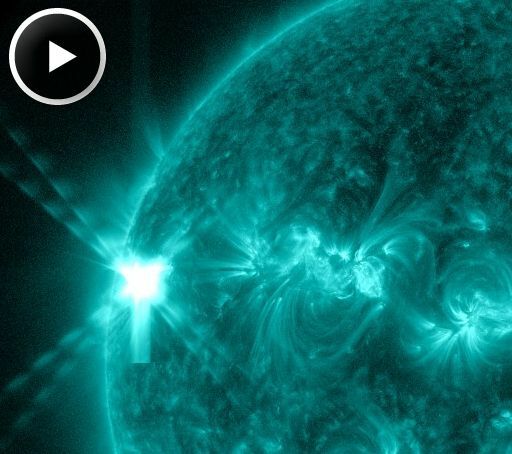 The Sun has come alive with a series of X-ray flare events 5/12-13, which included an X3.2 event that is the most intense flare of the year so far. The sunspot group that caused this event remains active and is rotating on the Sun. It will eventual point towards Earth so if a flare happens then, solar material and radiation could be blasted towards Earth. The Sun is still going through solar maximum which is expected to peak this year so events like this are expected. The Sun has been relatively free of these events for some time now. NASA's fleet of solar spacecraft monitor the Sun 24 hours a day so we will have plenty of warning if an event occurs. Spaceweather forecasters will issue any alerts.